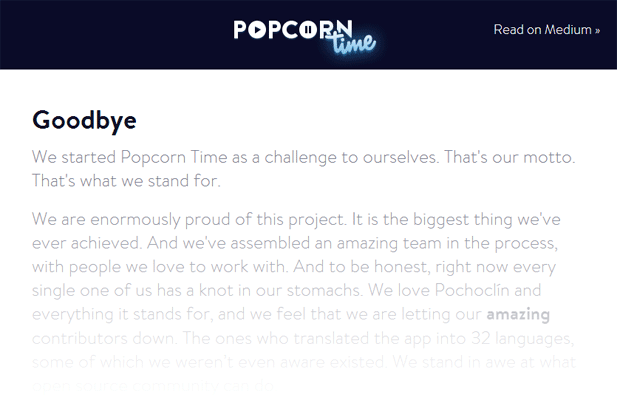 So, less than a week later, the magic that was Popcorn Time is gone. It was too good to last, and last it didn’t. 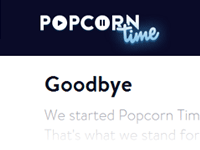 “Popcorn Time is shutting down today.” said the developers in a goodbye post published on their website yesterday. The reason? Not because we ran out of energy, commitment, focus or allies. But because we need to move on with our lives. In other words, they probably heard from the lawyers of the industry that produces the moves these guys were facilitating for free. 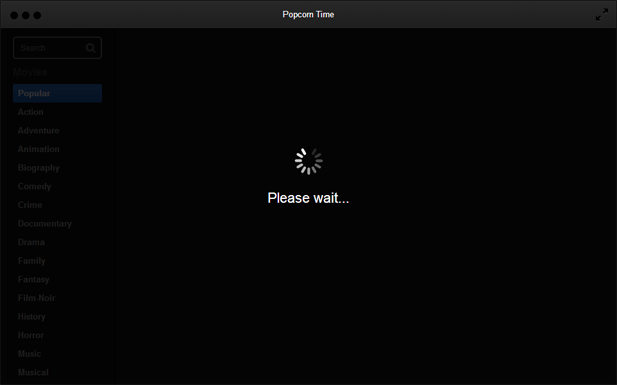 For all those of you that had found some relief in Popcorn Time, it’s back to DNS hacks and the credit card hoops we have to go through this part of the world. Are there any alternatives out there? We have no idea. If you do, please enter them in the comments below and we’ll have a look.